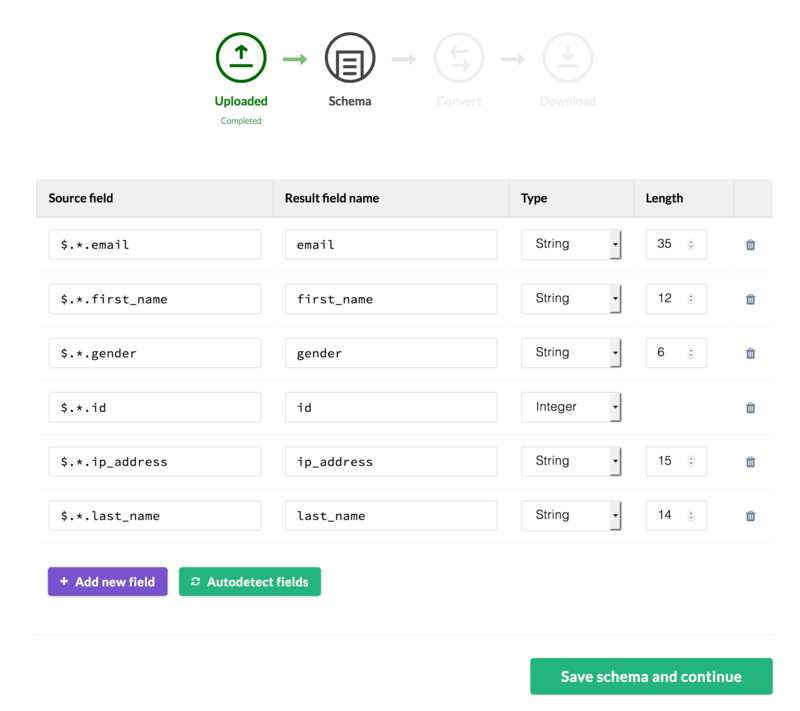 As of today, you can pick and choose what fields you want to flatten and convert to CSV or SQL using JSON Path expressions. JSON paths are a very simple and intuitive way to reference any value in JSON documents, no matter how complex or nested it is. Think of it like CSS selectors, but for JSON. This is very useful when you need to flatten very complex or large JSON documents, and you only want to extract a few fields, instead of the whole document.